Moving from Michigan to Colorado was a tough decision. Being born and raised in Michigan, my family and I grew to love the outdoors, with all the lakes and forests, what’s not to like. And Michigan supplied plenty of outdoor activities to make every weekend a joy. Once we got all our stuff packed and moved out west to the Centennial state, our weekends didn’t change much, except hiking at higher altitude, and how we were in awe of the beauty of these incredible mountains and the thousands of acres of forest that surrounded us every weekend. Being only 15 minutes from the Rockies we were planning our next adventure as soon as we got home that evening. The trails are incredible and seem endless, for the hundreds of miles of trails take you on a different adventure every time. Hiking in the Rocky Mountains requires much preparation. 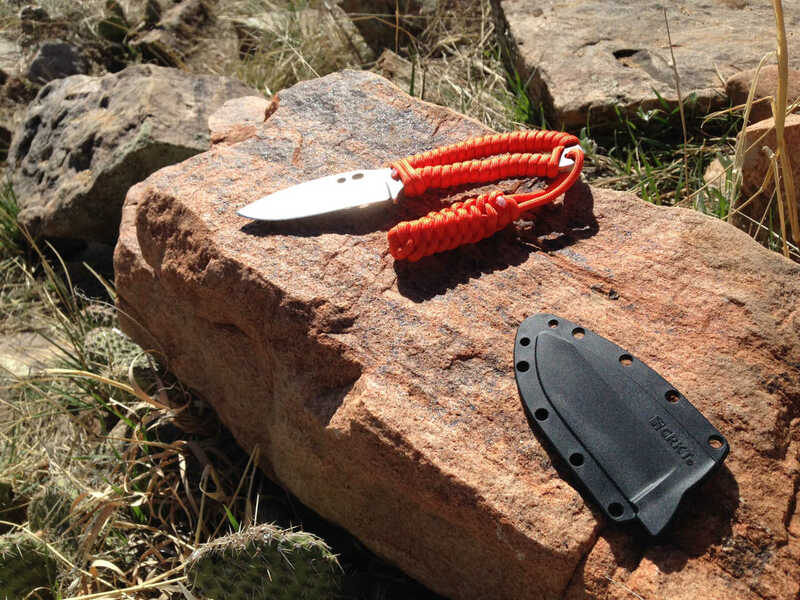 Good boots, proper clothing, a good backpack, plenty of water and water filtration unit, and of course, a good knife. 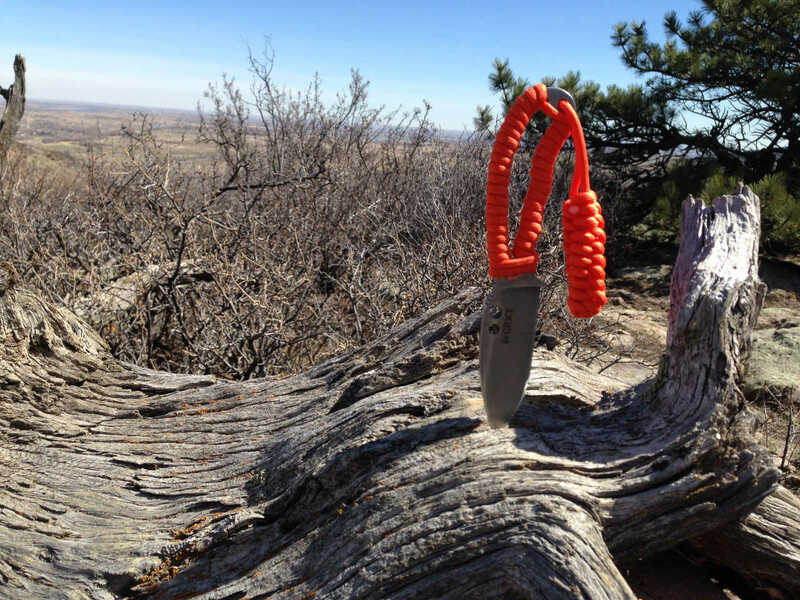 I was asked by the fine people of Columbia River Knife and Tool if I would check out some of their survival gear on a weekend hiking excursion. 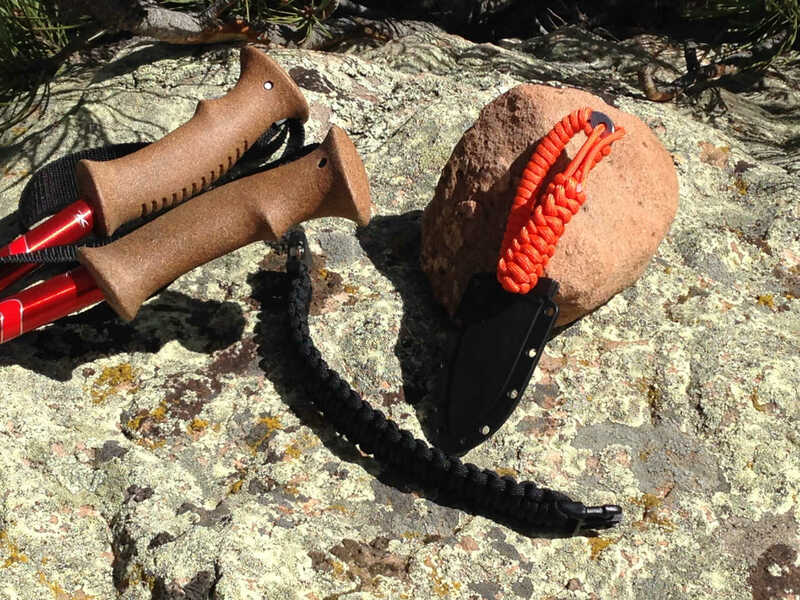 In the mail came the RSK™ Mk6™ survival knife, that was intricately designed by Doug Ritter, who is a leading authority on outdoor gear, and founder and publisher of the renowned Equipped To Survive web site. 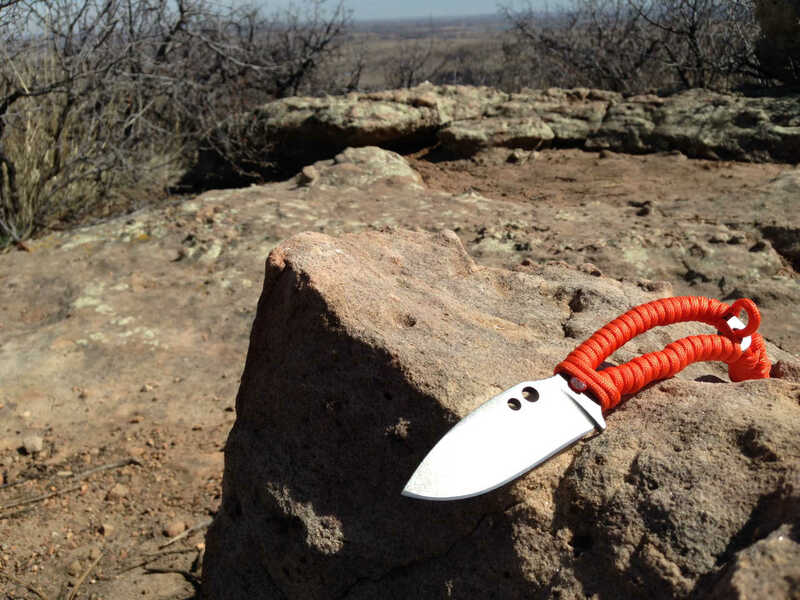 This is a beautifully made, lightweight fixed blade, that you can carry easily in your pocket, or stashed in your backpack. 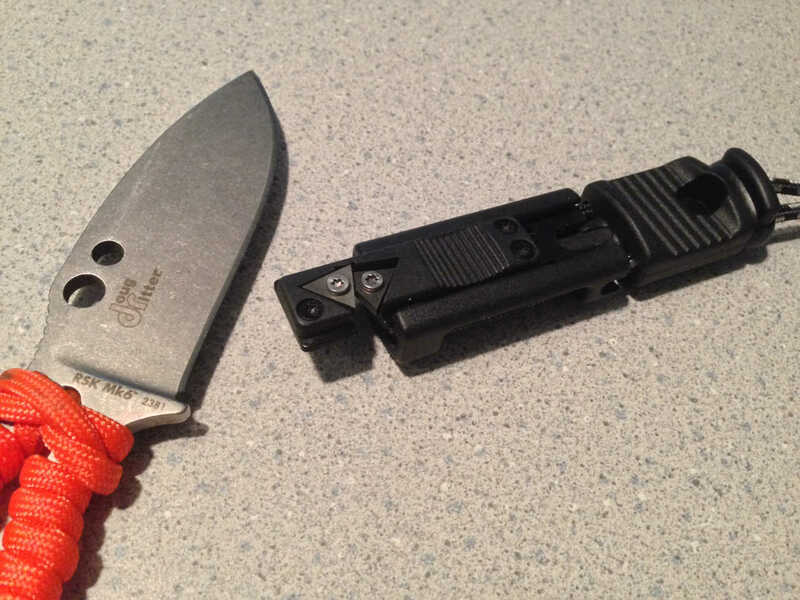 I preferred to keep it attached to my belt, with the belt clip that comes with the knife. 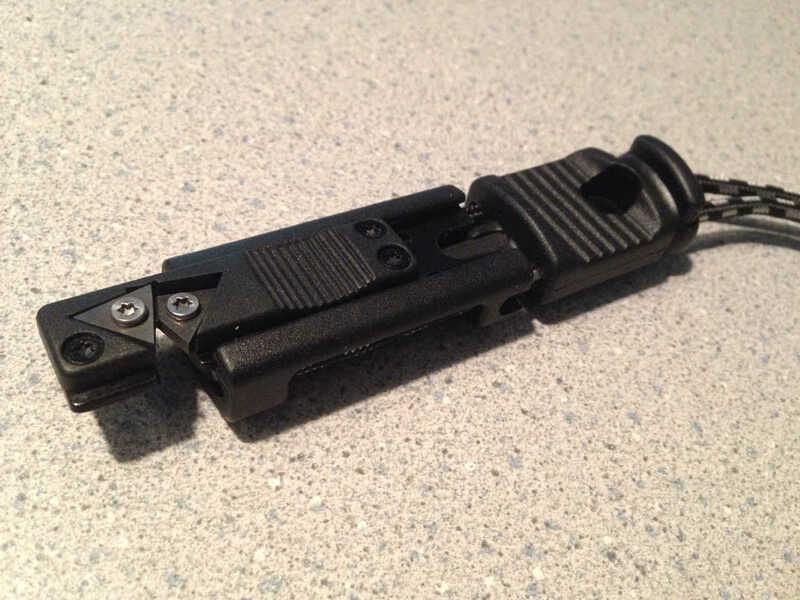 The durable glass filled nylon sheath actually attaches to the belt clip, making the knife easily accessible. 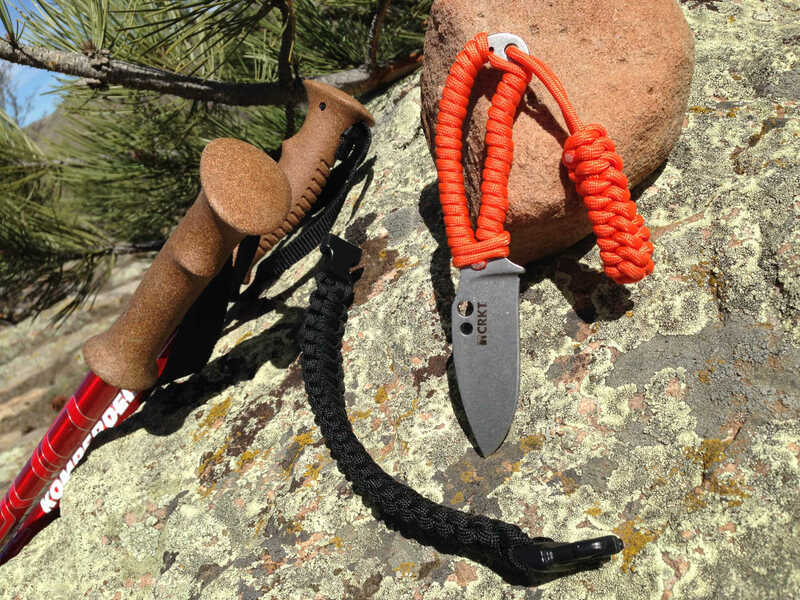 This knife is extremely lightweight, and that you hardly knew it was attached to your belt, it comes with a paracord wrapped around the handle and some excess cord attached off the top. I’ve found out many times, you can never have enough rope. 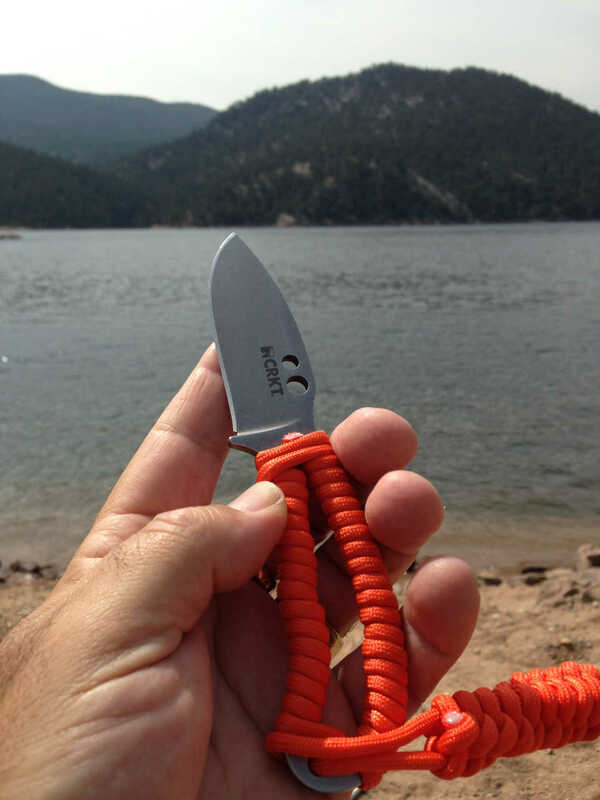 And this makes it very convenient, and a nice added accessory to have on a knife, for that extra bit of rope you wish you had packed before you left home. 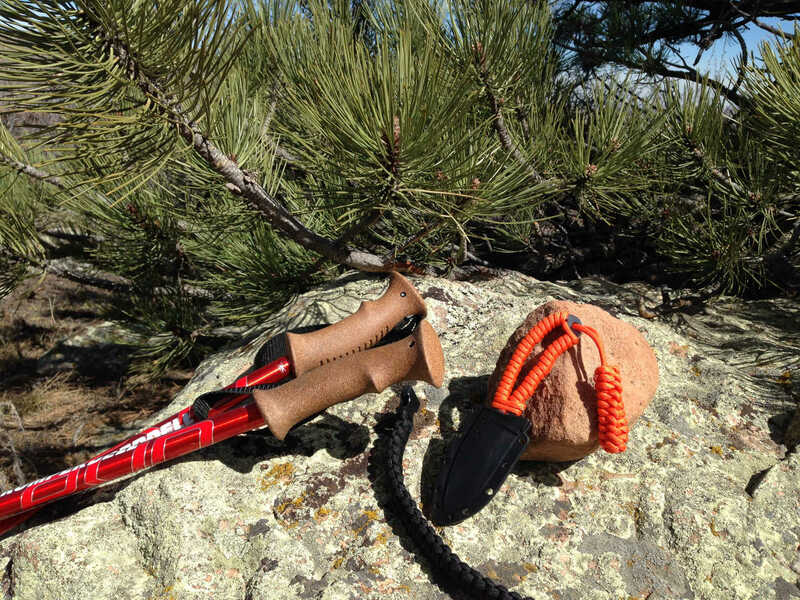 The blade is very sharp and cuts through rope and branches very easily. I really liked the size and the way your hand fits the handle. Having small hands, I found the size of it to be a major plus. So, Christmas came early for me this year because along with the Mk6 I received the Onion Survival Parasaw (Item SAWBLACK). 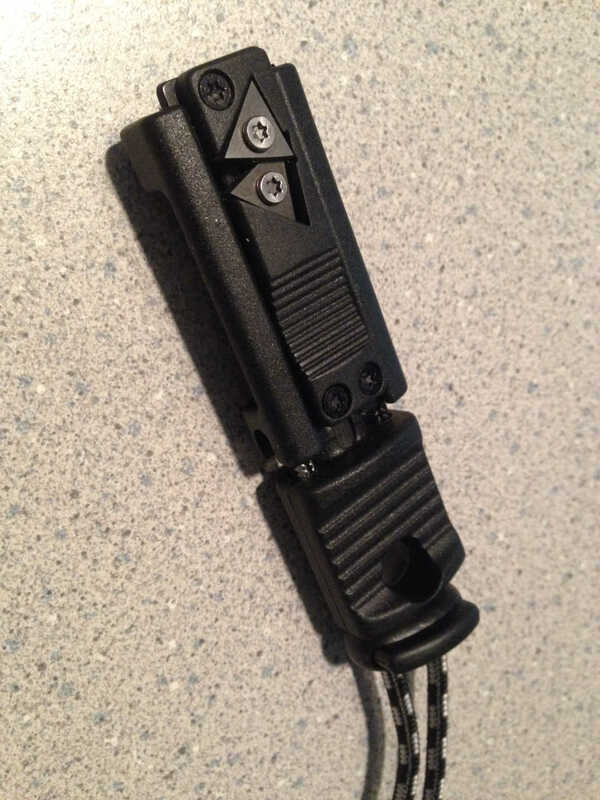 One cannot do without one of these in your backpack, or in this case, wrapped around your wrist. 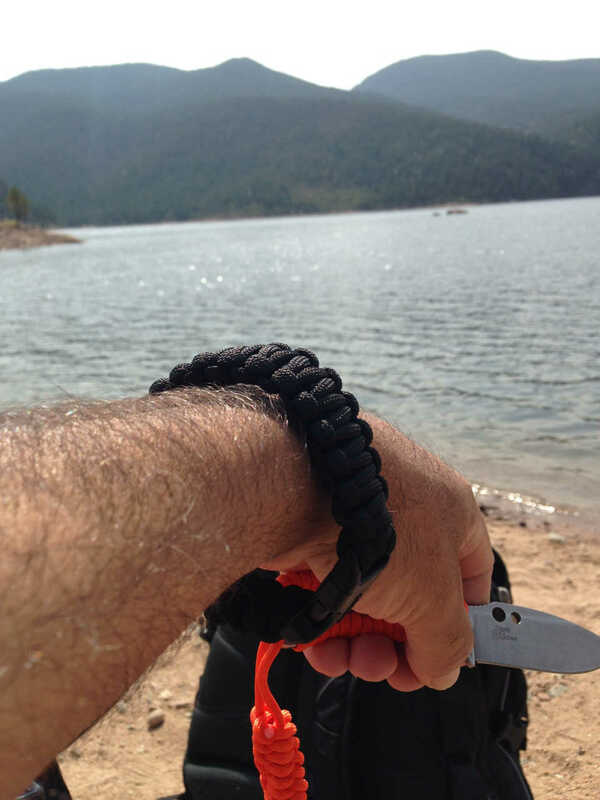 This conveniently made saw comes in a braided paracord bracelet that you can wear. Inside is a tungsten carbide wire saw that you can remove, and use for cutting timber for starting a fire, building a shelter, and any other lumber cutting that you need done at your campsite. 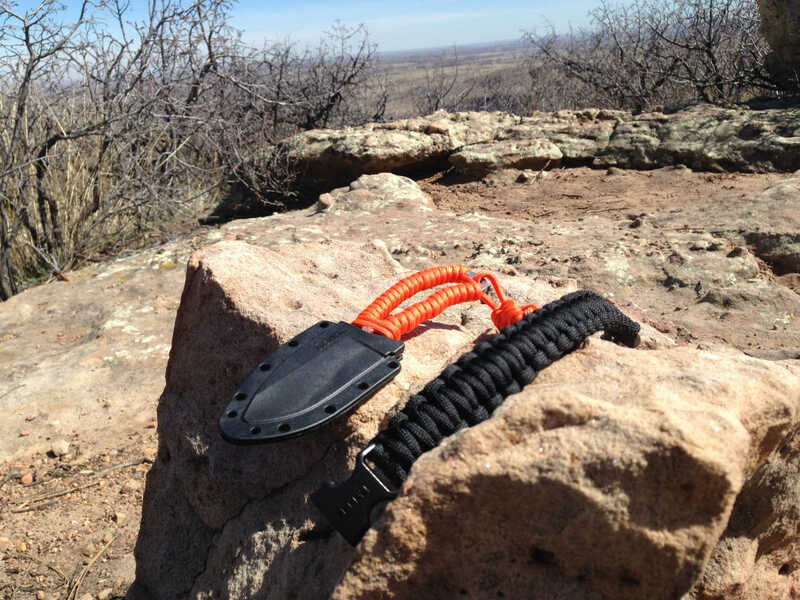 This is a must for any outdoor survivalist. 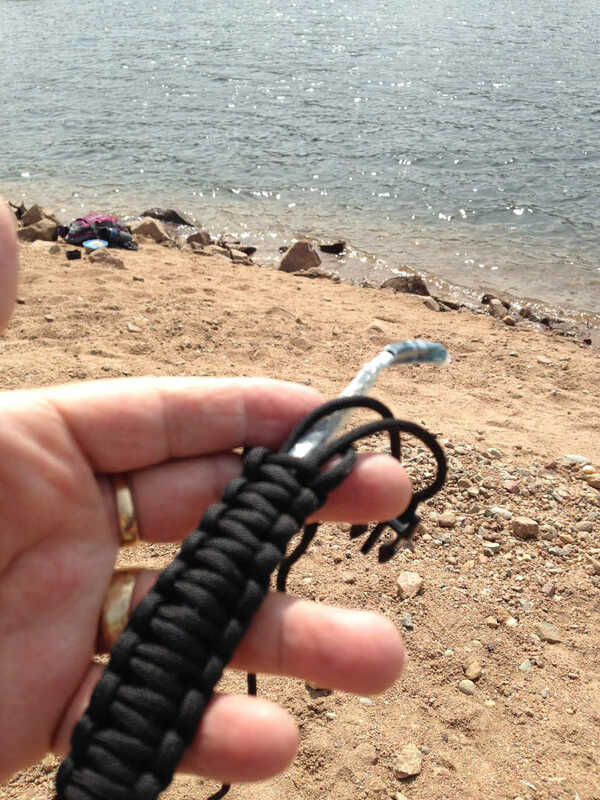 The Onion Survival Parasaw comes in two sizes, large and small depending on the size of your wrist. 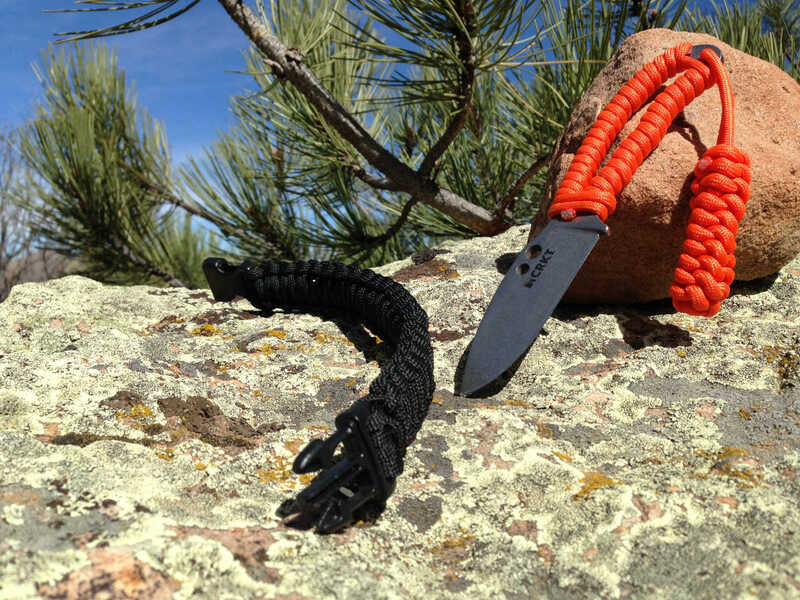 And the paracord that wraps the saw is 8-9 feet long, depending on which size parasaw you buy, which will come in handy while you're camping. 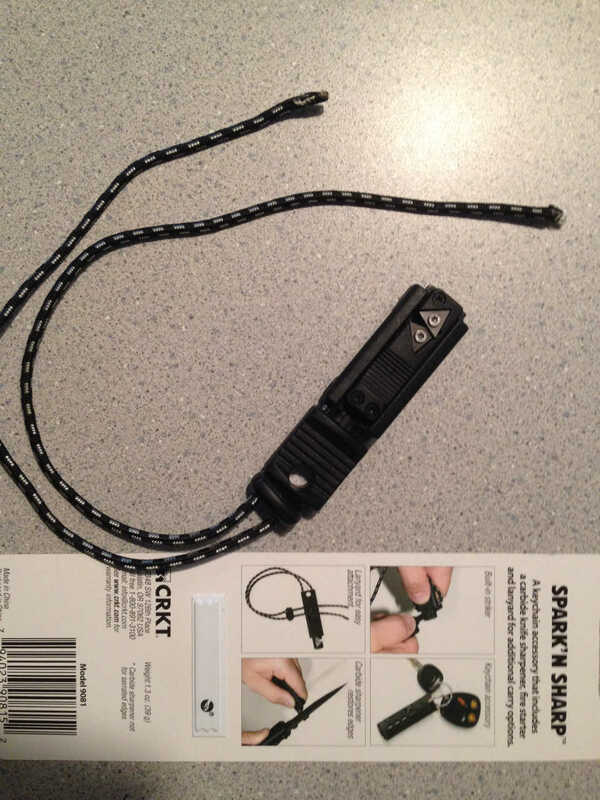 One other item that I'd like to briefly touch on is the Spark'N Sharp keychain accessory (Model 9081). 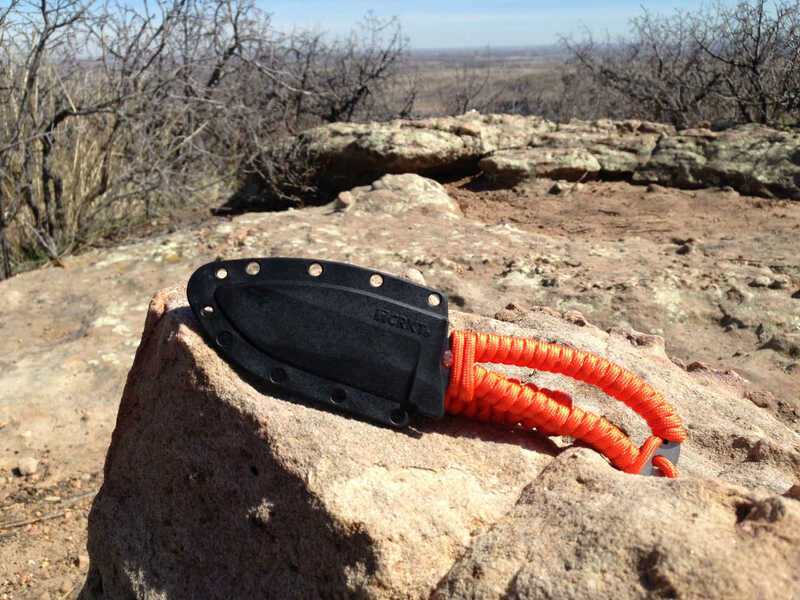 Designed by Tom Stockes, this is another nice tool to have around with you on your next hiking or backpacking adventure. 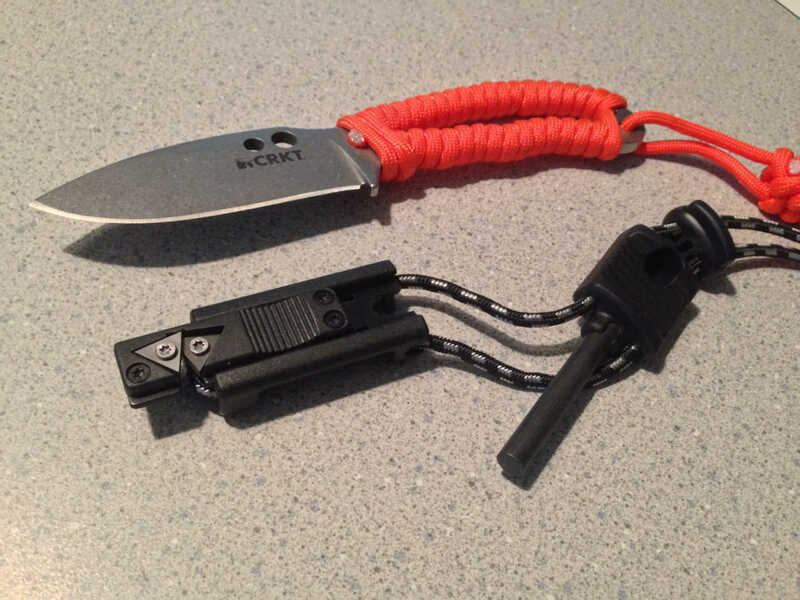 This item contains a carbide knife sharpener, and a magnesium fire starter. This thing does a great job of sharpening any of your knives and keeps them well sharpened. I actually took the time to get most of my collection of knives sharpened with it, and it didn't really take much time at all. Good thing to have in order to keep your knives sharpened during a hunting trip, or your next vacation in the woods. 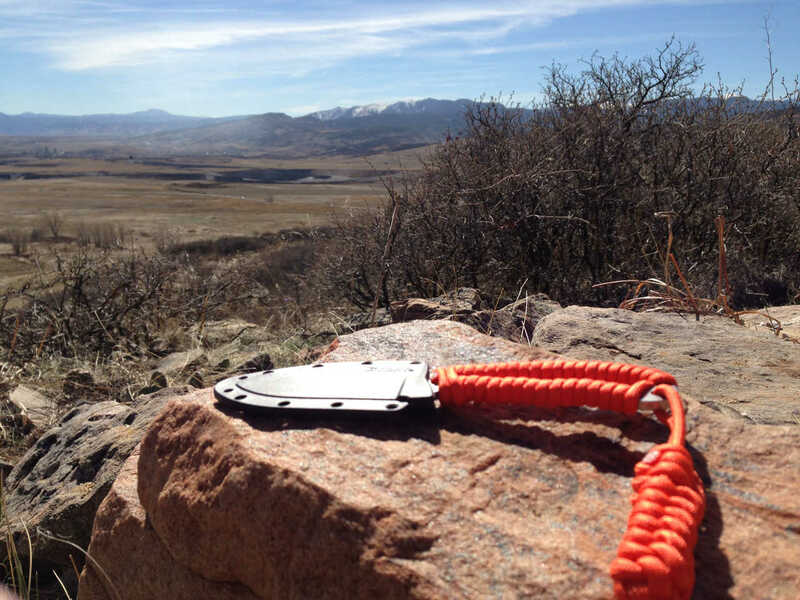 It easily attaches to your belt, or hang in on your backpack, for quick and easy access. 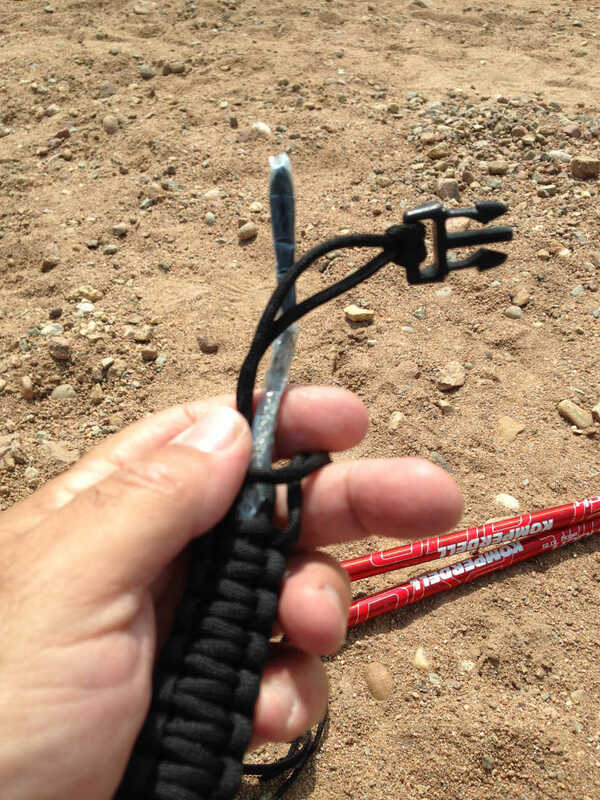 The magnesium fire starter is a neatly tucked inside the keychain and held all together with a braided rope. This comes in handy for getting your morning fire started quickly. 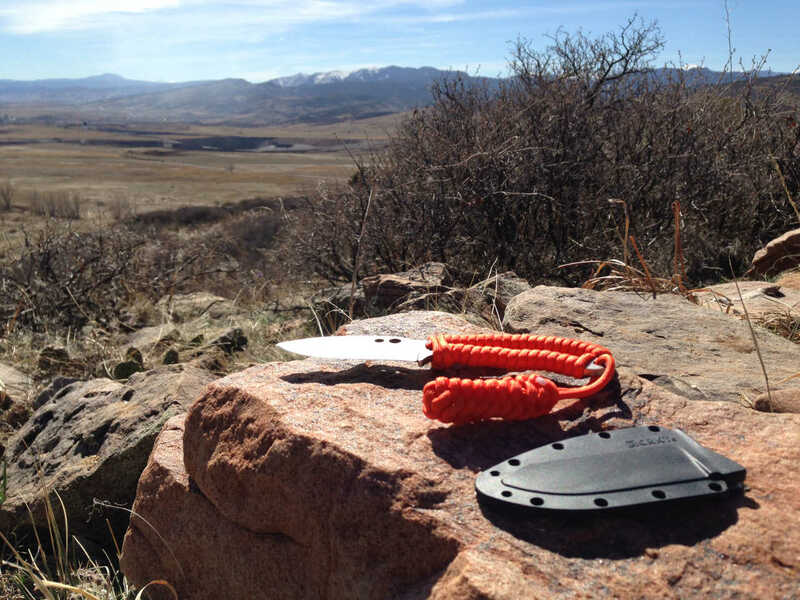 Columbia River Knife & Tool has been making quality knives since 1994. The care and precision in the making of these knives is quite impressive. A word from CRKT: "The most innovative custom knife makers and designers in the industry have created our knife, tool and accessory products." You won't be disappointed with CRKT knives, and the Mk6 is a nice addition to your collection. It sure is for mine. Some other really nice lightweight fixed knives worth checking out at CRKT are the Mk5 (Item No. 2380), another knife designed by Doug Ritter in collaboration with Georgia knife maker David White. Also check out the Bear Claw (Item No. 2500) designed by Russ Kommer. Get online at www.crkt.com and see the many fine quality knives and survival gear at Columbia River Knife and Tool. You won't be disappointed.